"We are not kings or queens, we are the Marvellous Culines!" Such was the motto of the Culine family when they first embarked on their life in the circus, a life that would encompass joy and sorrow, love and tragedy...and some incredible feats of showmanship. 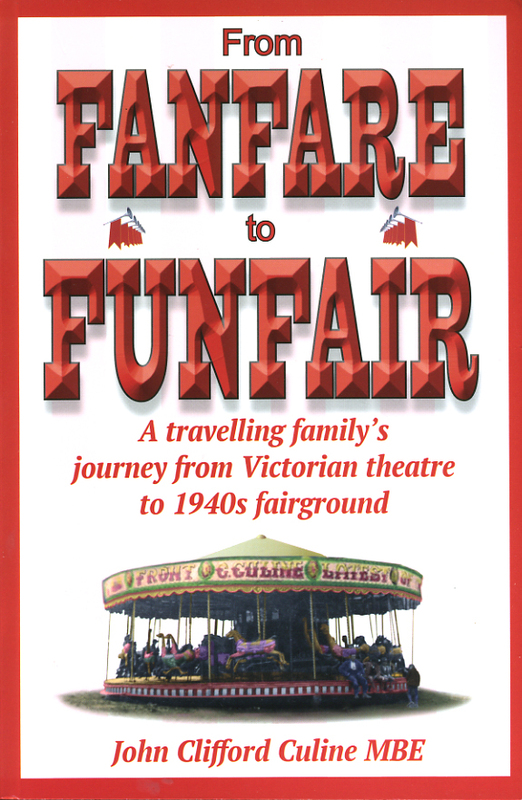 In From Fanfare to Funfair, John Culine traces the fascinating history of his own family, bringing to life a host of colourful characters as he describes real people and real events in a narrative that could be straight from a Hollywood movie script. 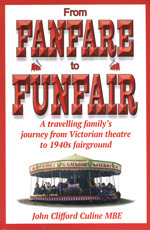 The story begins in 1822, and takes the reader on a roller coaster ride of ups and downs as the Culine family make the journey from Victorian theatre and circus to the world of the travelling fairground in the 1940s. Experience the drama as Alice Culine attempts to walk across Bridlington Harbour on a tightrope in 1890. Share in the highs as Cliff Culine performs with Buffalo Bill, and the lows as William Culine is declared missing in action in France in World War I. We learn of the family's efforts to keep the show going through two world wars, bringing entertainment and light relief to people in dark times, despite their own heartache and worries. This is a captivating story and as we turn the pages we can't help but share in the family's celebrations and sorrows. John Clifford Culine was born in a caravan in Victoria Jubilee Park, Spennymoor, Co Durham, the son of travelling showpeople Clifford and Freda Culine. One of five children, he was the only boy. A travelling showman through-and-through, John also spent nearly 20 years serving as a councillor on Spennymoor Town Council and was elected Town Mayor in 2004. He served The Showmen's Guild of Great Britain in various roles for over 40 years, reaching the highest honour, that of President, in 2016, a position he relinquished in January 2019. He was awarded the MBE in 2007. As the last male Culine, John didn't want the fascinating family stories he had been brought up with being lost along with the Culine name. This book is the culmination of 30 years of painstaking research, added to the insights into the characters of his predecessors and their lives related to him by his family over many years. And characters they most certainly were! For anyone with an interest in family histories, our cultural heritage, or simply people and how they lived, this is a fascinating and compelling read.